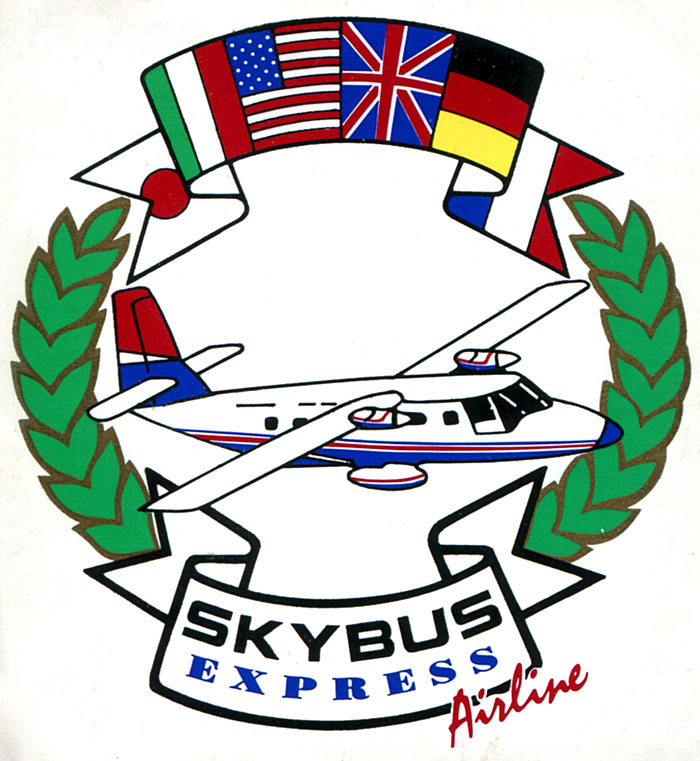 In January 1991, Skybus Express was selected by the DOT to operate subsidized Essential Air Service between Atlanta and Anniston and Gadsden, Alabama. 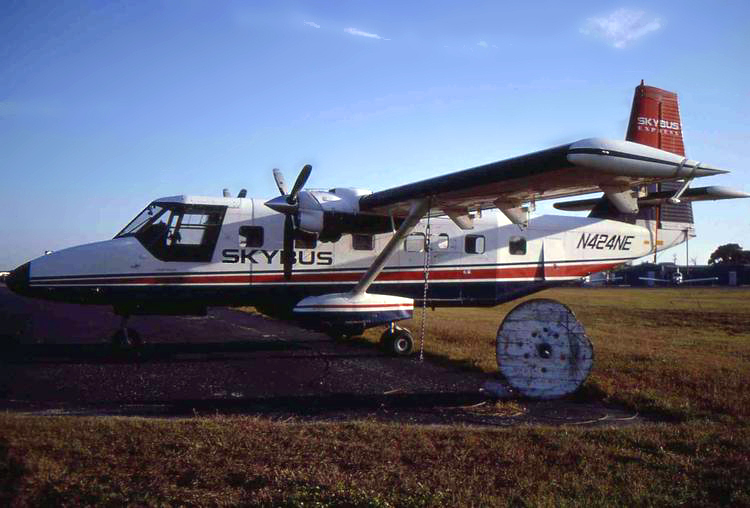 Like Southeastern Airlines before it, Skybus operated the flights with 16-passenger, Australian built GAF Nomad aircraft. Flights between Atlanta and Athens, GA were also operated during 1991. Traffic on the EAS routes was lighter than expected and Skybus filed to abandon service after only a few months but was forced to continue flying into 1992 when GP Express took over the routes. A collection of Skybus Express timetables from 1991 and 1992. A "coat of arms" Skybus Express sticker showing GAF Nomad aircraft and a collection of international flags, amusing since the airline operated between Georgia and Alabama.